The season of festivals is almost upon us. As the weather warms around the country, the thoughts of music and fashion begins a re-birth of inspiration. The 1960's and the hippie fashion of that era has faded, but has never truly past. Modern day festivals still have a relaxed fashion flare. Not for the faint of heart, festival season calls for statement-making pieces that are functional and cozy as well. 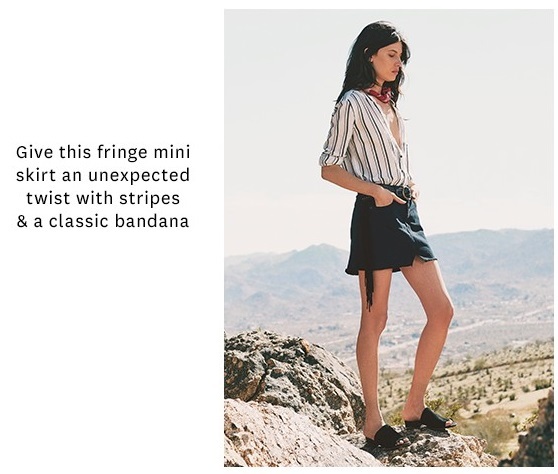 You can find a fine assortment of festival friendly fashion at Lucky Brand. Coachella, Burning Man, blues festivals, county fairs, state fairs, and more. Are you ready for the 2017 festival of fashion? In addition to selecting the perfect garment, don't forget that you need comfortable footwear as well as trendy accessories such as a bag, hat, and sunglasses. In regard to festival footwear, you may want a trendy yet comfortable sandal. You may want to check out our festival ready footwear post as well. Why is fringe so popular at the festivals? 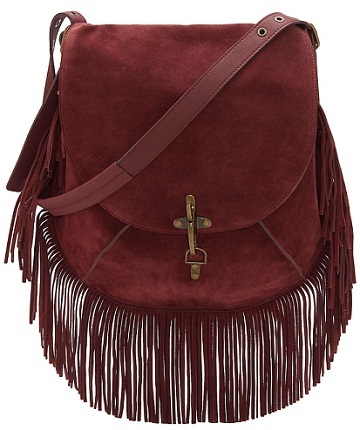 Well, take a look at this amazing handbag that can be found at the Lucky Brand website and you will understand. 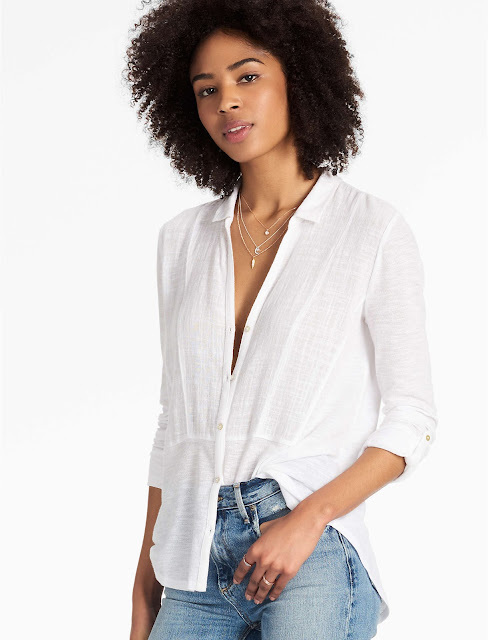 This woven gauze mixed top is also festival fashion approved for sure. Simple, yet stylish and comfortable. Appears to meet all the requirements. Good music with good style to match. Hello festival season, we are ready for you. Another retailer for festival fashion essentials would be asos. ASOS is a global fashion destination for 20-somethings. We sell cutting-edge fashion and offer a wide variety of fashion-related content, making ASOS.com the hub of a thriving fashion community. Whether you are dancing under the sun or heading to an all-night rave, press play on this festival season with slammin' style essentials fit for every stage. Hit the crowds in an off-the-shoulder top or high-waisted denim. asos has festival inspired jackets, tops, pants, and more. If you need a style to fall back on, keep in mind that graphic inspired t-shirts are always a hit at the music festivals. Learn about various festivals that you may wish to attend to show off your fashion. Where is your favorite place to shop before attending a music festival or other sort of festival where being casual but trendy is important? Do you have a favorite shopping destination or possibly a favorite brand? Share your thoughts in the comments section. You may want to check the hippie clothing stores if you are looking for fashion for an inspiring festival. While you are at it, you may want to learn about fashion from the 1960's which inspired some of what can be seen at modern day events.